We often discuss the life lessons that players can learn through hockey off of the ice. From raising money for cancer research during Pink the Rink initiatives or helping sort out donations at a food bank, many teams plan events throughout the season where they can give back to their communities. With that said, these life lessons don’t have to be limited strictly to when the equipment is off. What happens before, during and after a game are all opportunities for players to learn different life skills. Through a foundation of leadership and a positive influence of the coaching staff, hockey gives players the chance to take what they experience on the ice to carry on with them as they enter the classrooms and boardrooms. 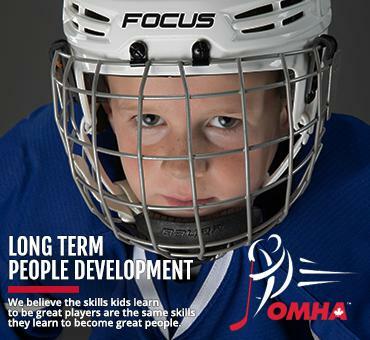 Through Long Term People Development, hockey provides an environment where players are encouraged to grow and have fun while making new friends. 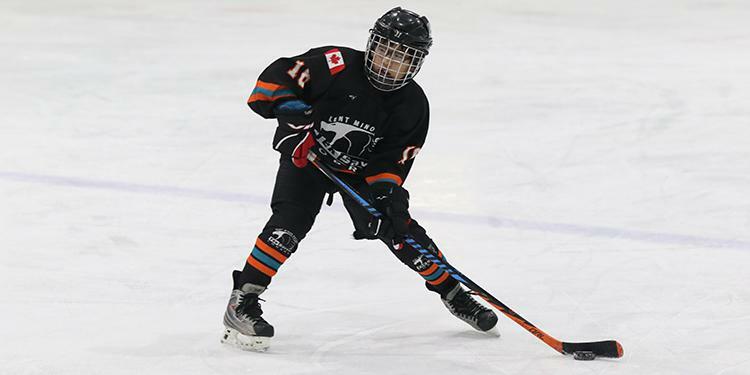 The values of playing go beyond the scoreboard and teach attributes like dedication and discipline that can be carried on throughout the years after graduating from minor hockey. Here are some lessons that players and coaches can learn in the locker room. A team may go into the game with a strategy of how they want to play and realize throughout the action that they need to make adjustments. Players can learn to take constructive criticism and be able to apply it going forward with the understanding that everyone is learning and trying to get better. Players will learn that not everything will come easy and they will need to work towards their goals if they want to be successful. Players can understand firsthand about the importance of nutrition, fitness and being physically active and experience how it can directly affect their performance on the ice. Establishing these healthy habits teaches how a player can use off-ice actions to help them when they tie up their skates. These are the building blocks in creating an active lifestyle as players grow into adults. Along with throwing away any garbage and leaving the dressing room clean, the locker room is a great place for players to learn about responsibility. Especially for younger players, making sure that no belongings get left behind is one of the easiest lessons that they can learn. This maturity can extend to showing respect to the arena staff and the rink itself by behaving properly in the hallways. When at home, players can be in charge of airing out and cleaning their equipment. It’s a long season and there can sometimes be small conflicts that arise within a team with the uniqueness of so many different personalities. Teammates need to work together during the year to achieve a common goal. If an argument arises, players can learn about controlling their emotions and how to work out their problems. Using problem solving that keeps both parties happy in the end is the basis of compromise. Coaches should intervene when necessary to help resolve these issues.